Chic & Modern was the directive for this Manhattan ER Doctor. 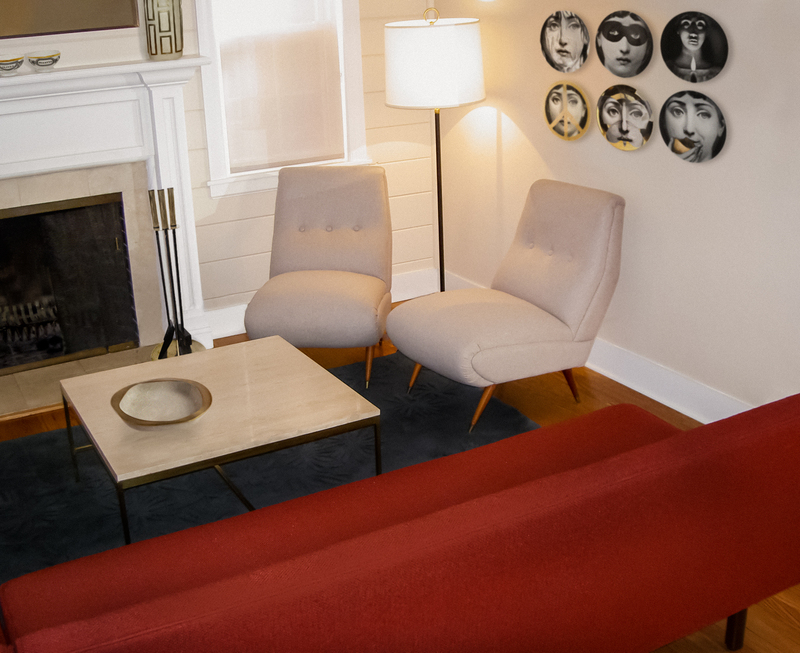 Taking a cue from her love of Vintage Italian Cinema, we started with a pair of fabulous Mid-Century Italian slipper chairs. We covered them in a cashmere/wool blend for extra sophistication, then paired them with a classic Dunbar sofa in scrumptious red boucle. An exquisite Italian brass floor lamp and a Paul McCobb marble coffee table anchor the room whilst Augousti shagreen and bronze accessories and Fornasetti plates look on.